Schedule for English testing services to be announced. We are designated by the Ministry of Advanced Education! The B.C. Ministry of Advanced Education guarantees institutions granted its designation meet strict quality standards. These standards regulate enrollment contracts, qualifications of instructors, program hours, as well as many other criteria. 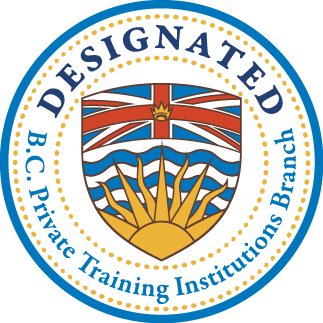 Designation also requires our programs be up to date with current practices in relevant career occupations. We offer Office, Warehouse and education related programs. Contact us for more details. 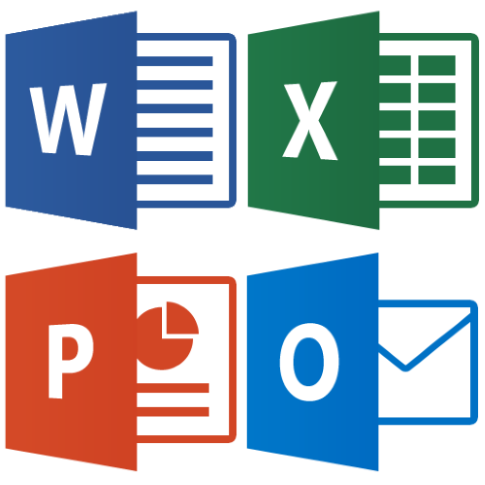 Certification courses in MS Word Core, MS PowerPoint, MS Excel Core and MS Outlook are available. You don’t have to be in a full program to register. Contact us today to figure out how you can get certified! Are you from Vernon, Smithers, Mission, or anywhere else in British Columbia? Call our toll free number to find out more about our wide variety of vocational training programs. 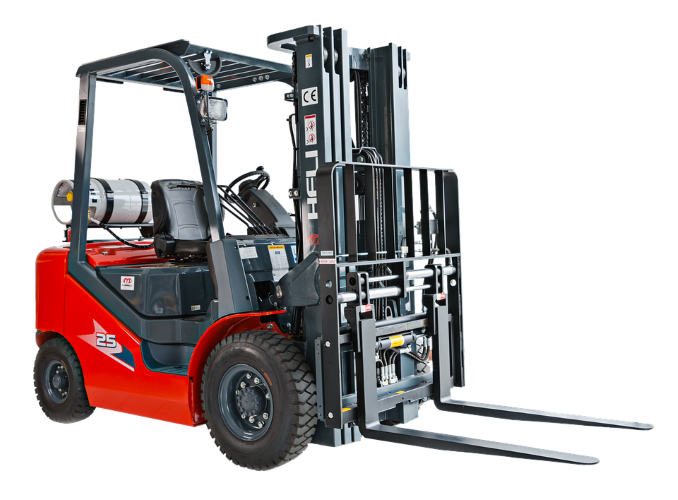 Our Light Warehouse Training program gets you ready to work in a variety of warehouse environments. This includes courses in Microsoft Word and Excel, shipping and receiving, forklift training and customer service. Our Mission Statement at the Canadian Vocational Training Centre is Educate, Empower, Employ, thereby enabling our students to achieve their personal, educational and career goals in a timely and cost effective manner. The Management of the Canadian Vocational Training Centre have extensive experience, both locally and globally, in the adult education market. 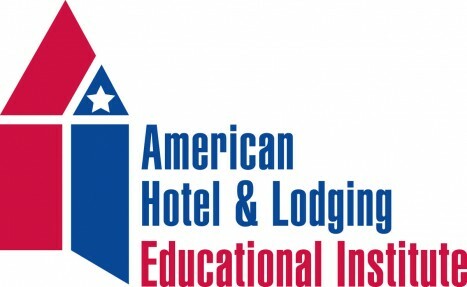 Primarily in the areas of business, hospitality, and employment focused programs. It was Confucius who said “The will to win, the desire to succeed, the urge to reach your full potential… these are the keys that will unlock the door to personal excellence.” Let Canadian Vocational Training Centre help you. Your education is important! You’re never too old to learn. In fact, adult learners are generally the best learners around. Why? Because adults are highly motivated, very curious, and know how to apply their practical life experiences to new information. At Canadian Vocational Training Centre we want to help educate you with skills needed for today’s workforce. The term empowerment refers to the act of “investing with power“, allowing people to take back control of their own future. At Canadian Vocational Training Centre we are known as career development professionals: we advise, coach, and provide information to people who are planning, seeking and managing their own career direction. Don’t let life control you! 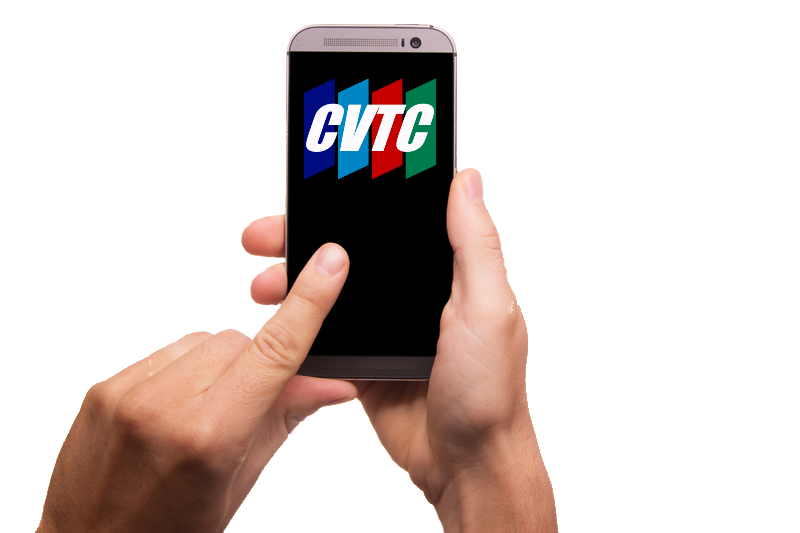 Control your life, and your future, at CVTC. This is what its all about! Employers tell us that selecting the right person for the job has never been more important that it is today. With local employers communicating their workforce needs directly to CVTC, we are able to ensure that our students are prepared for today’s jobs. At Canadian Vocational Training Centre we are passionate about our students success and this is what it’s all about! I could not thank you enough for letting me into your RoomKeys Program. I was kind of lost, culture shocked, confused and excited at the same time when I moved here from Philippines. I was introduced by IMSS to take the program to help me establish my career. 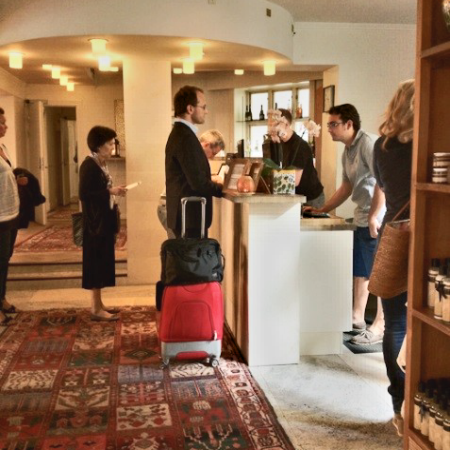 I had no clue at first how it would work for me, but when I came in, everyone was so accommodating and friendly. I got the chance to meet Cal Purcell, the President of CVTC. He put me in the position that I needed to be true to myself and think about how far I’ll go with my goals. Having that mission statement in mind, caught my whole interest to join the program. While in the program, I felt the confidence inside me, discovered new things about my weaknesses and strengths and started to rebuild my goals. I also connected with people with different cultural views and backgrounds, opening myself towards great opportunity and kept thinking that everything is going to be worthwhile as long as you are willing to invest some of your time, effort and whole positive attitude. I came to a point that I missed family back home; it’s like a thousand miles away, but when I looked around I just realized I had the CVTC Family—they became my family all throughout. They embraced me; they became someone that I am very comfortable to express my real self with; they became my shoulder to cry on, friends to laugh out loud with, and gave me the courage to start a new beginning here in Canada. Reading books ahead, memorizing terms that I’m not familiar with, 4hrs of night study, maintaining 100% attendance, passing all the exams, checking vocabulary, being fully attentive and positive all the time, is honestly not my thing. However, I always believed that “An investment in knowledge pays the best interest.” I never found enough reasons to quit and never took things for granted, because they did a great job to push me to limits I couldn’t even imagine. They did things that made you want to be there all the time and not just consider it as an ordinary day. Every day is a learning experience, every day is a special day and I must live with it, with positivity and strong commitment. Thank you so much CVTC for the great opportunity, you helped every one of us in different ways. You encouraged your students to stay fascinated with all the adventures along our way. You helped us with our career development that we need to be truly thankful for, by loving what we do and being grateful for every piece of our success I’ve experienced many fond memories; I look back on what I was before and what I’ve become. Having all those certificates—they serve as pride. I thank you all from the bottom of my heart. I know there will always be reasons why God placed us in close proximity to each other. …And now we became the better versions of ourselves. My name is Sherry, I am a former student of Canadian Vocational Training Centre. I was at a crossroads in my life where I knew that I had to make a change in my career. I had a terrible horse accident years ago and suffered a back injury. I continued working as a labourer and learned how to work through the pain, but as the years went by my injury only got worse. After many years of doctors, physio, and seeing a neuro surgeon multiple times, I had surgery. I now have rods and screws in my back. Although I now have less pain, I can no longer continue in the labour-intensive work that I had done for over 12 years. I loved my job. I am a very driven person and I have a strong work ethic, it was devastating to me to come to the realization that I could no longer continue in the field of work that I took so much pride in. I was not working full hours, and I was in an emotional state when I decided to go to Kopar Administration. I was appointed a job coach and, apprehensively, told her my story. It was the first step in helping me to discover my new career path. I was introduced to the idea of going back to school for training. Training in which I never thought of myself doing, office work. My training was approved with funding to start at Canadian Vocational Training Centre in the Office Administration + Bookkeeping program. It took a little while for me to wrap my head around doing office work, but I started my classes with an open mind and a determination to do my best and learn the skills needed for my future career. Though I did not set high expectations on myself for grades with honors, as I felt that I was not ‘academically smart,’ I am proud of my accomplishments and received Honors in Sage, and the Office Assistant Program. I can now say that I have skills. The OA + Bookkeeping courses that I have taken, have given me a vast new outlook that gives me the potential to work in almost any kind of office. The instructors and staff at CVTC are wonderful. I learned that intelligent people do not just fit in a tidy little box, but we are all intelligent, and just have different ways of learning. I was treated with respect. The education I received exceeded my expectations. Chris, CVTC Executive Assistant, is always very welcoming and adds to the comfortable atmosphere. The faculty are a very positive, encouraging and helpful group of people. They have empowered me to believe in myself, set goals and follow through. I have received invaluable support in my employment search. At CVTC they do not just send you on your way when your courses are complete, they offer their help and support even after you’ve finished. My success is their success. I would like to thank Cal, Lisa, Char, Ruth, Penelope, Patti, Wanda G., and Kevin for all their instruction, encouragement and friendship during my time at CVTC. Without all of you, I would not have the confidence to find a fulfilling office position with my new earned skills. I just wanted to give a shout out to everyone who works there, Char, Ruth, Penelope, Kevin…Cal and Wanda… You all helped and supported me through 6 months of hard work. CVTC got me the confidence and job I wanted from the beginning. This whole experience would not have been possible if not for you Call… You were able to help me when I needed it. Thank you.